The days finds laying on the rock in a bit of water making them so beautiful. 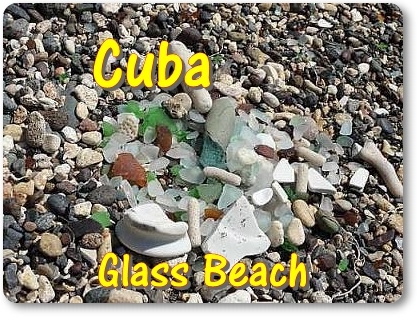 I first discovered Seaglass while researching Guantanamo Bay, Cuba. My husband was serving there and my children and I were blessed to visit him and spend a week and half. Before I left I wanted to know all I could that's when I learned about Seaglass. I was so excited to get there and find my first piece. 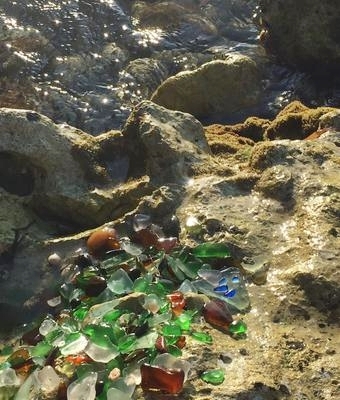 As Seaglass hunters know you become quickly versed by others and by pieces being smooth, their rare colors and such. I found many colors and each one was special. I love it so much and now that I am back home I still find myself searching for my next trip to look for that one other special piece. I took this photo with my cell phone after a day of enjoying scanning behind huge rocks and ocean waves coming up from behind sometimes which made me giggle. I got lost in the joy of nature.